Sudden Shock is a strong oxidising agent that will effectively remove organic contaminants from pool water to keep it clear and improve bather comfort. Rapid dissolving and close to pH neutral product makes it the ideal choice for oxidation. 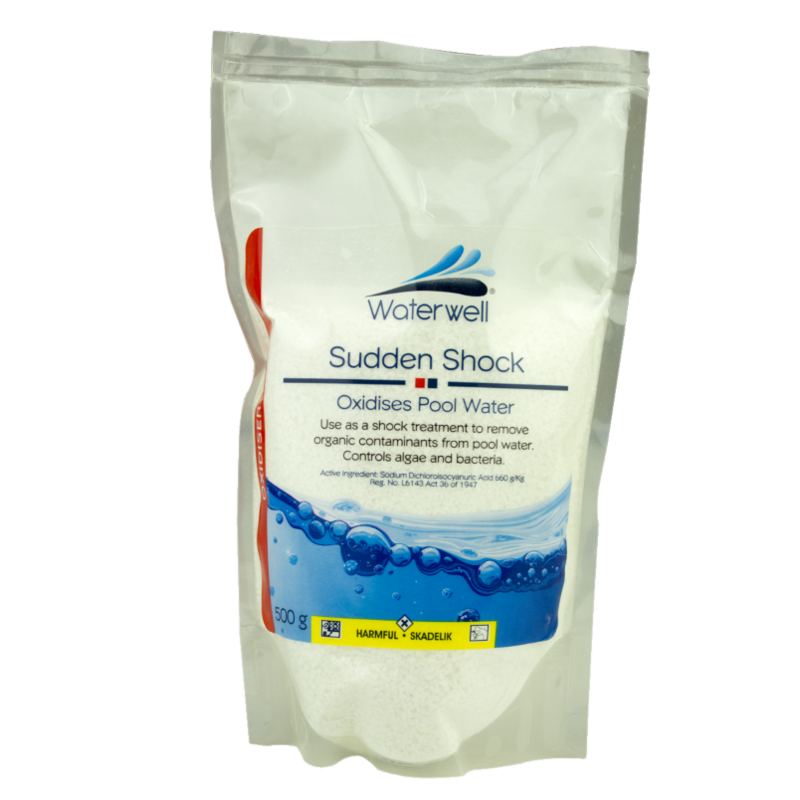 One 500g sachet of Sudden Shock per 50 000L of pool water.